The 1m72 bay KWPN stallion is best known for his partnership and success under top German rider Christian Ahlmann. 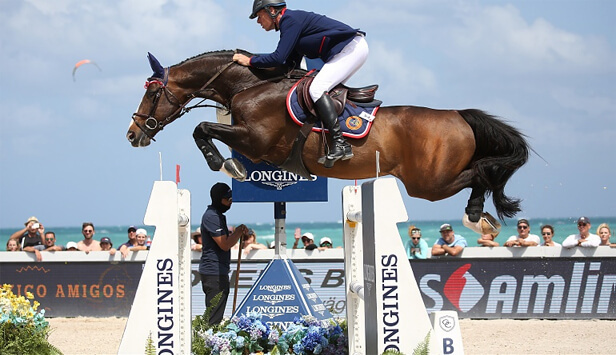 The duo have been regulars on Tour, competing in 34 events over every season from 2009 and taking top 10 results in Mexico City, Paris, Doha, London, Monaco, Cascais, Chantilly, Cannes and Valkenswaard. “He is my partner for eight years, and I’m really, really happy to be his rider.” We spent some time with Christian and the phenomenal stallion in Paris, to understand a little more about the relationship between Christian and Taloubet.